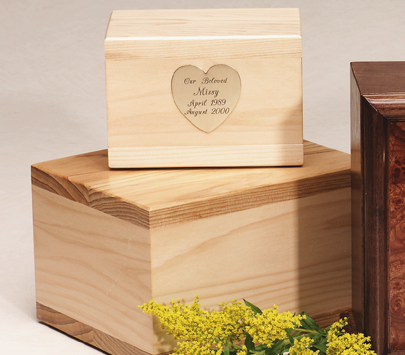 Crafted in two sizes from birch with a natural stain and satin finish. Shown with optional engraved plate. For larger version, please see "Simplicity" in our extra large dog department.